While this new rugged tablet from Sweden does not have high-end features, it complies with the IP65 and MIL STD 810G specifications and is priced accordingly. Rugged tablets are not for anyone, but it is always good to see more such devices showing up. 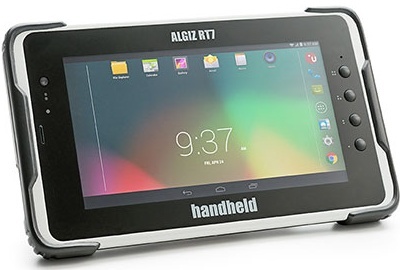 Earlier this week, Swedish company Handheld Group has unveiled the Algiz RT7, a tablet they advertise as "a powerful, lightweight and ergonomic 7-inch tablet designed for reliable performance in demanding environments." In addition to the above, the Algiz RT7 has four programmable keys and a lot of optional features, including a 2D barcode imager and a 13.56 Mhz RFID reader. Being an MIL-STD-810G and IP65 certified device, this tablet can handle extreme temperatures, water, dust, as well as at least 26 drops on concrete from 4 feet. 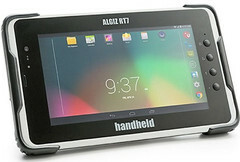 The starting price for this rugged Android tablet is $1,149 USD, and it can be already ordered. Shipments will begin next month, with volume deliveries starting in January 2016.